REDLANDS, CA (Oct. 6, 2016) – TrakMotive, of Redlands, CA, is pleased to announce its participation in the fourth-annual American International Motorcycle Expo (AIMExpo), the powersports industry’s largest trade and consumer show in North America, set to take place at the Orange County Convention Center (OCCC) in Orlando, Florida from October 13-16, 2016. Throughout the four-day event, TrakMotive will be showcasing the all new ATV-UTV Heavy Duty CV Axle line to the market and media while engaging with its dealer and consumer base. TrakMotive is excited to return to the AIMExpo for the third consecutive year, especially with the launch of its highly anticipated Heavy Duty CV Axle line for ATVs, UTVs and Side-by-Sides. TrakMotive has seen the growth AIMExpo has achieved since the unique concept took center stage within the motorcycle industry in 2013. Year-to-year progress is hard to ignore and the industry has spoken, with 91 percent of dealer attendees stating that they intended to return in 2016, according to post-event surveys. For more information about TrakMotive or to become a dealer, visit TrakMotive.com or call 800-567-1608. For more information about the American International Motorcycle Expo, visit AIMExpoUSA.com or join the conversation on social media by following AIMExpo on Facebook, Twitter and Instagram: @AIMExpo. 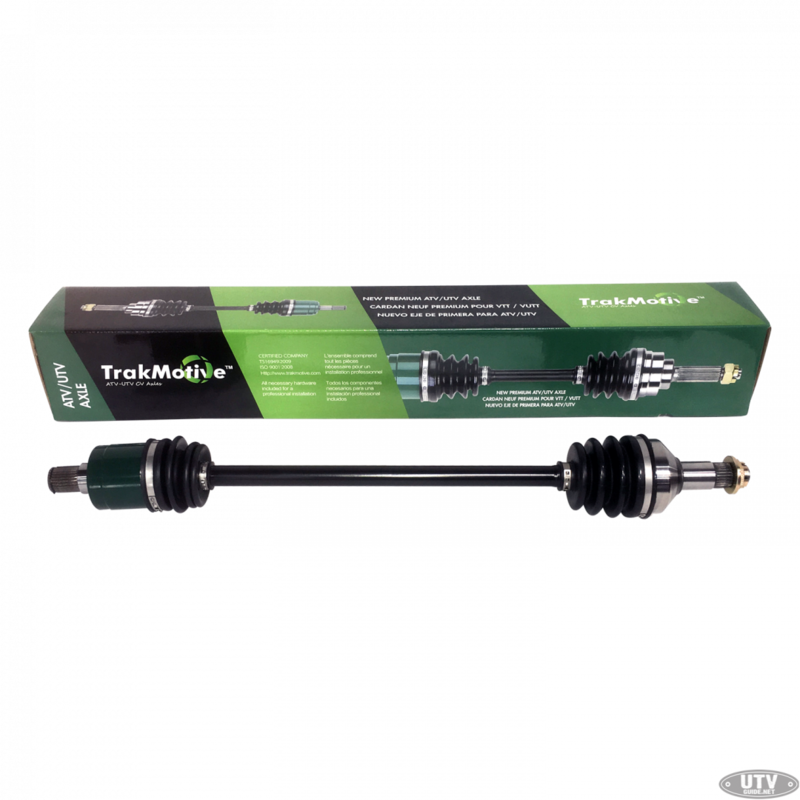 TrakMotive Constant Velocity (CV) Axles for ATVs, UTVs and Side-by-Sides are engineered from the ground up to be the highest quality, most reliable, and toughest CV axles on the market. Designed to withstand the most rigorous conditions, torture tested to failure to ensure maximum durability, and manufactured in a state-of-the-art ISO9001 and TS16949 certified factory, TrakMotive CV Axles exceed OEM quality in fit, form and function. The American International Motorcycle Expo’s (www.aimexpousa.com) purpose is to serve as the catalyst to bring together industry, press, dealers and consumers in a single arena that creates a grand stage for motorcycling and powersports in the U.S. and North America, and delivers an efficient and energetic market-timed expo platform for B2B and B2C in the greater powersports industry. AIMExpo is the single most important event of its type in the North American market and has international impact within the motorcycling and powersports community. For the second year AIMExpo was honored in Trade Show Executive Magazine’s Fastest 50, recognizing the fastest growing trade shows in the U.S. AIMExpo is produced by the Motorcycle Industry Council (http://www.mic.org).